GlobalData identified and analysed enrolment efficiencies for oncology clinical trials in China that had a start date between January 1, 2012 and December 31, 2017. A total of 324 clinical trials were identified during this period. GlobalData analysed the enrolment dataset for these trials, where available. On average, clinical trials across all phases excluding Phases I/II failed to meet the planned enrolment targets, with enrolment efficiency values falling below 100%. 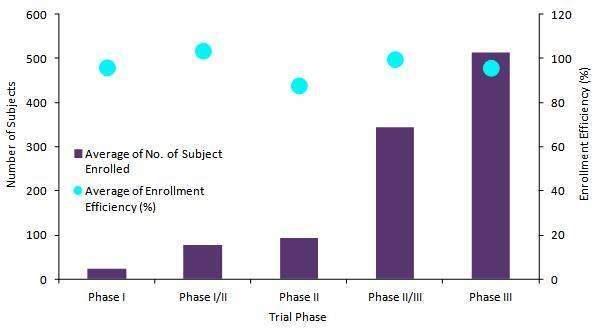 Although Phase II clinical trials recruited fewer subjects on average (93.1 subjects) relative to Phase II/III (343.3 subjects) and Phase III (513.5 subjects), the greatest discrepancies between planned targets and actual numbers of enrolled subjects was observed in this phase, which had average enrolment efficiencies of 87.8%. Furthermore, Phase I oncology clinical trials typically failed to meet planned enrolment targets despite enrolling an average of 22.3 subjects in these trials. 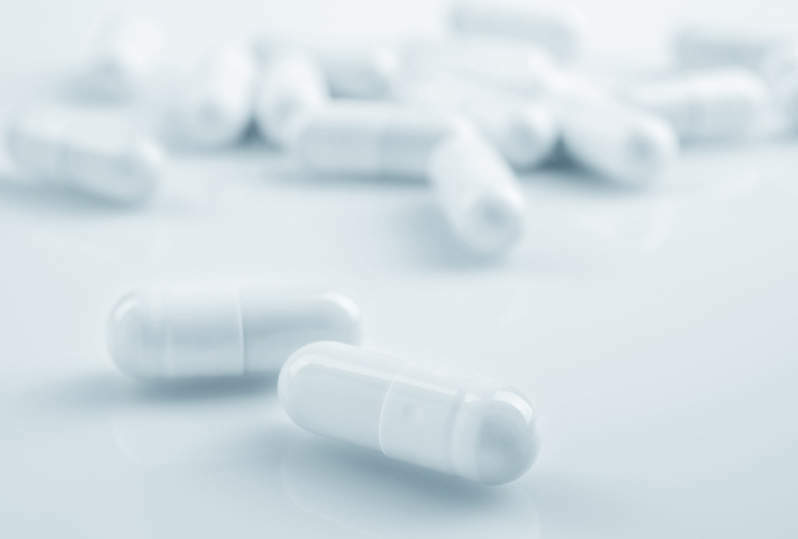 Combined Phase I/II clinical trials, which typically integrate efficacy and safety purposes into dose-finding objectives, enjoyed the highest enrolment efficiencies and exceeded planned enrolment targets with an average enrolment efficiency of 103.5%. Due to low numbers of clinical trials with enrolment data available, Phase IV clinical trials were not included in these analyses. The top drugs investigated in these clinical trials include atezolizumab with seven clinical trials, Hutchison Medi Pharma’s fruquintinib with seven clinical trials, Hutchison Medi Pharma’s sulfatinib with six clinical trials, ibrutinib with five clinical trials, and olaparib with five clinical trials.